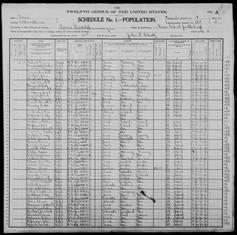 Find out how your ancestors fared in the post-famine years by tracing them in our Census record sets. 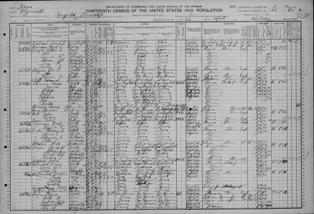 Census records can tell us the story of our ancestors who sought a new life abroad. 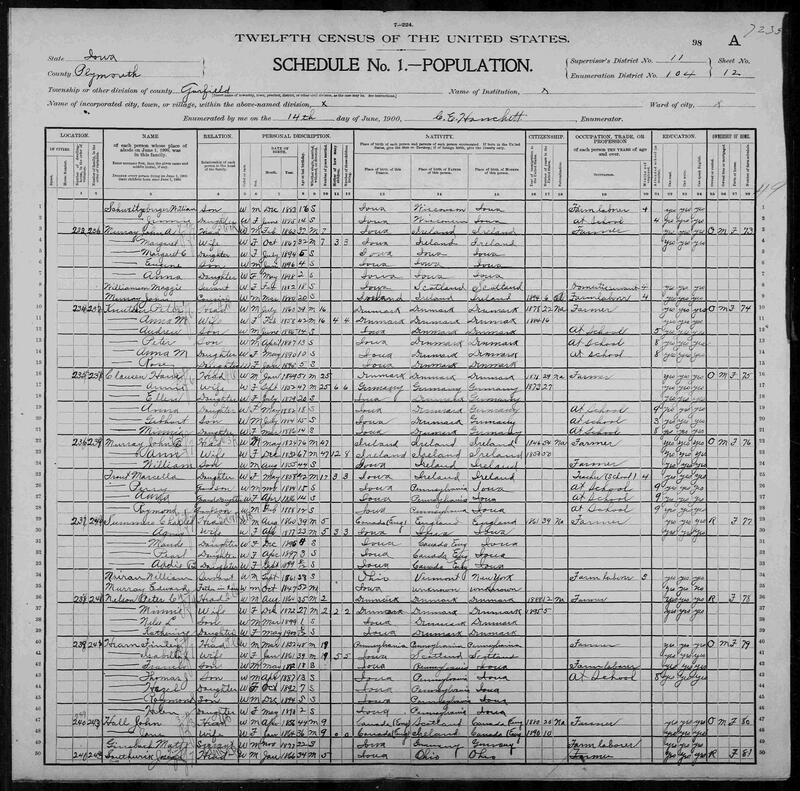 The census records of 1850 for the United States and 1851 for the United Kingdom are filled with families newly arrived from Ireland. Most can be found clustered in the larger port cities such as Liverpool and New York. The huge influx of Irish into America throughout the nineteenth century made New York the most Irish city in the world, the Irish population in New York in 1870 outnumbered the Irish to be found in Dublin, Belfast or Cork. 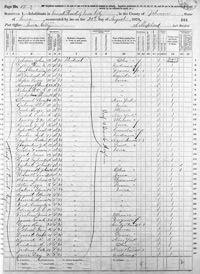 Our immigration records lists the arrival of Irish into New York between 1846 and 1851. Using these records we traced one young man, Edward Murray, from his departure at the height of the famine from Belfast over the next six decades. 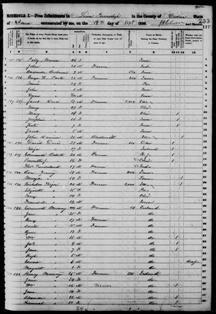 Edward Murray arrived in the Unites States aboard the Chieftain on 29 May 1849, aged two. The family moved to Iowa where they farmed. 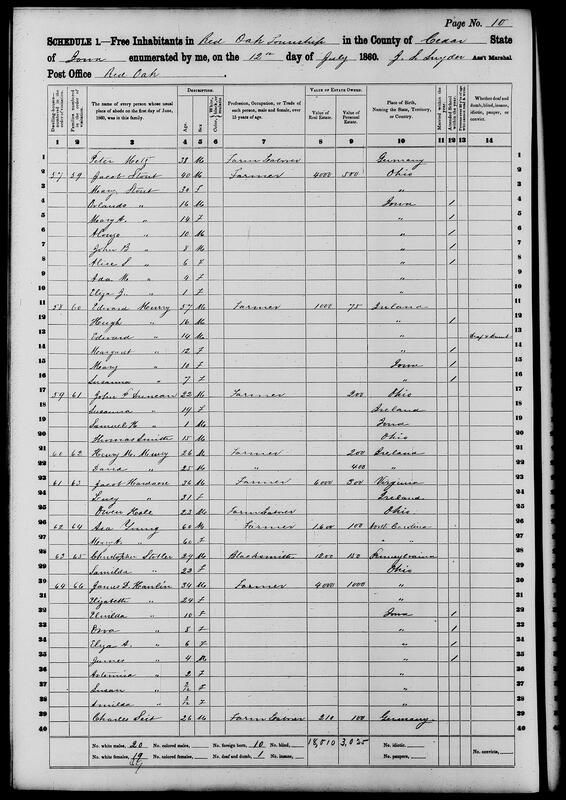 One of nine children that left Ireland with their parents, Edward is recorded as being deaf in the 1850 census. It was this detail that allowed us to be confident that we were seeing the same young man, with a relatively common name, through the ensuing decades. In Iowa the family grew, with at least two more children born to Edward Snr and his wife Jane. In 1860 the family is smaller, with just the youngest children at home with their father. Naturally this raises questions regarding the whereabouts of the mother, Jane, is she absent on census night, or has she passed away? Aged 14, Edward is not at school with his siblings, it is probably safe to assume that he stays at home and helps his father on the farm. Things have changed quite considerably for Edward by 1870. 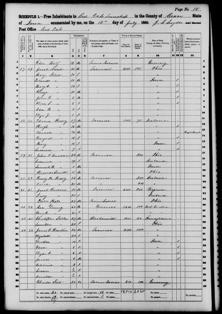 The census shows him attending a school for the deaf at the age of 23. His birth place, and that of his parents, is recorded, mistakenly, as Iowa. This type of error is not unexpected in a return for an institution where a large amount of people are being enumerated. In the 1880 census Edward can be found living with his wife 'CE' whom he met in the deaf school, the couple married in September 1872. By 1880 they have two children, both identified by initials only. 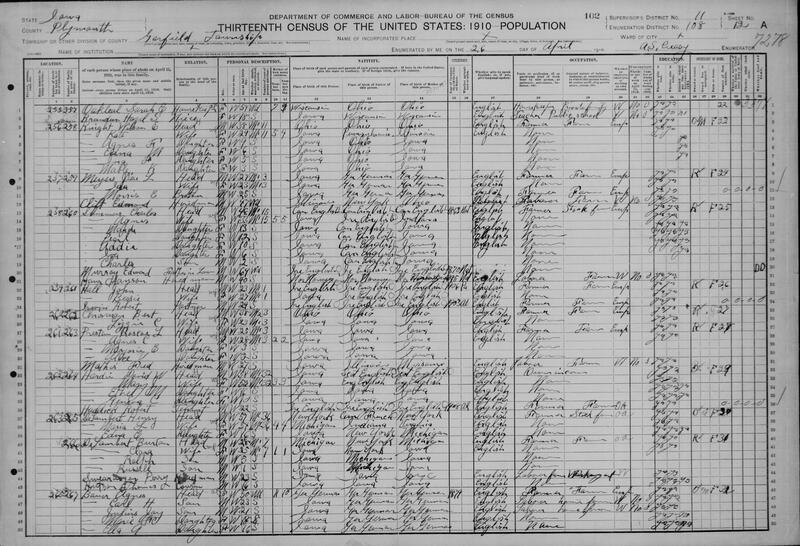 The loss of the 1890 census (when Edward would have been 43) makes it more difficult to trace the family from this point. Research did uncover two Murray children, Mattie & Lizzie, attending the same deaf school in 1900 as their parents had twenty years before. There are a number of potential 'Edwards' in the 1900 census but without supporting evidence it is difficult to ascertain which one is the correct Edward. The most likely candidate is a widowed Edward Murray, living with his married daughter, Agnes. 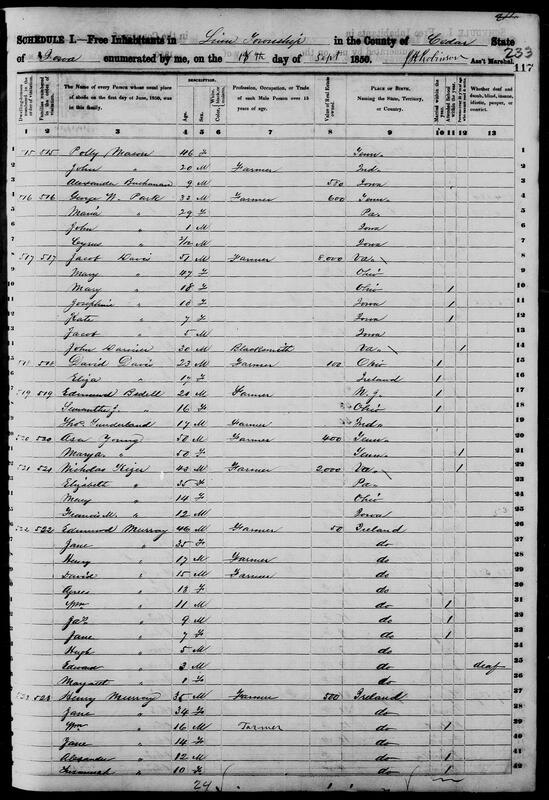 Again his birth place is listed as Iowa, and that of his parents is recorded as Unknown. 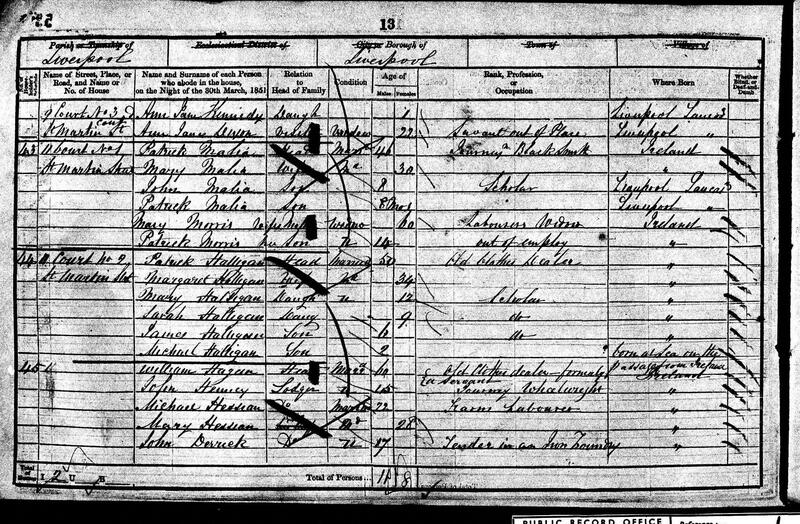 The widowed Edward can be found again in the 1910 census, still living with his daughter Agnes. His birthplace and that of his parents has been restored to Ireland. 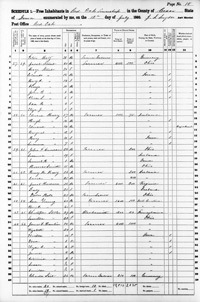 However his date of birth has been misinterpreted by 5 years, as 1842 rather than 1847, owing to the enumerator's way of writing the numbers 4 and 9 when recording the ages of household members. He is once more recorded as being deaf and dumb, a question which was not asked in the previous, 1900, census. In that census the clue to his deafness is his being recorded as being unable to speak English. This is a heartwarming story of a young man who left Ireland during the famine years who went on to have a successful life, and a family of his own, in his new home. Opportunities which may not have been available to him in the decades of recovery in post-famine Ireland. 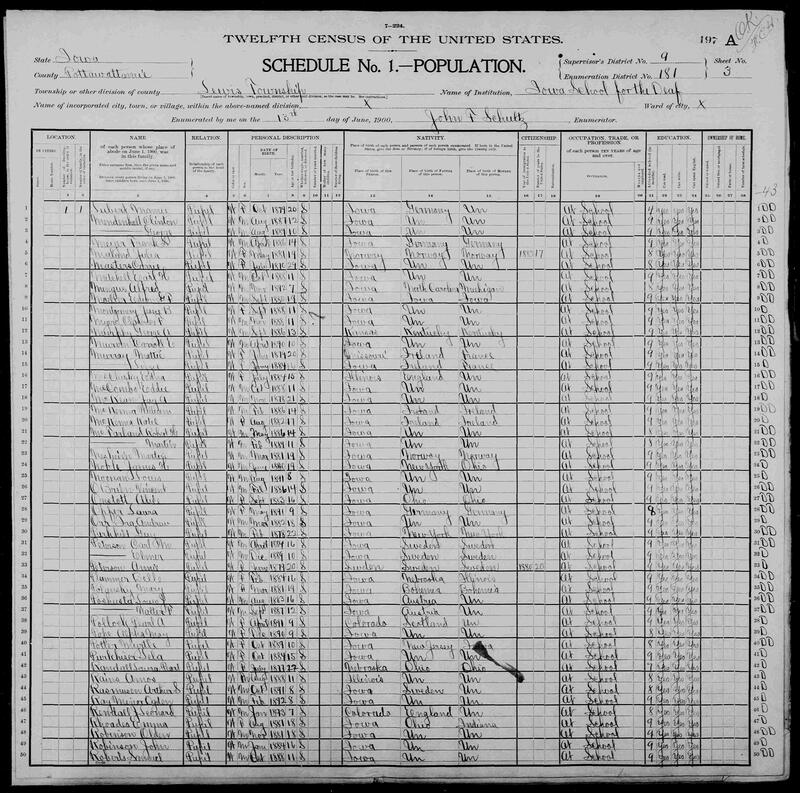 It is also a good example where searching forward through census records can occassionally give a clearer picture of a person's life than searching back. 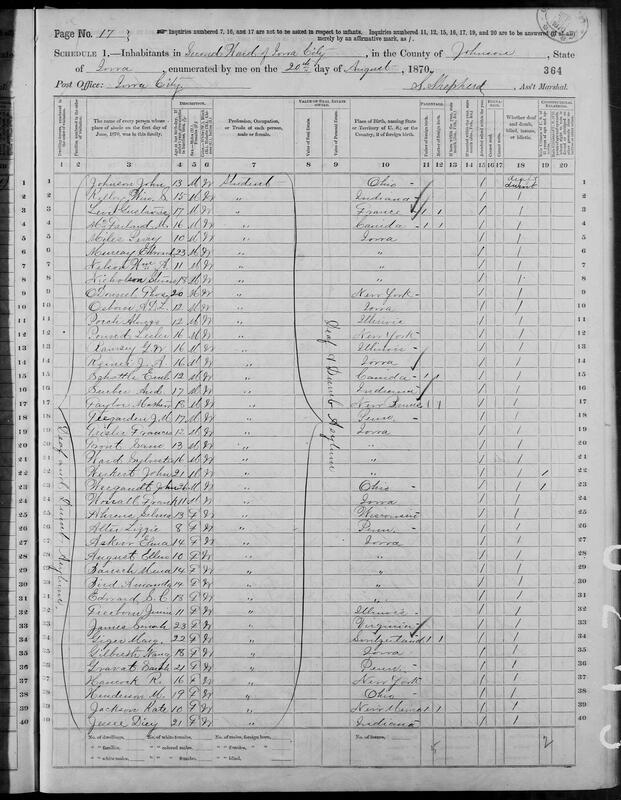 Edward's birth in Ireland could easily have been obscured by his birth being recorded as Iowa instead of Ireland on two occasions, and the misinterpretation of his age in the latest census record in that he appears which places his date of birth five years too early. Hundreds of thousands of Irish arrived in the United Kingdom every year between 1846 and 1851. Most eventually travelled onward to the United States, Australia or other parts of the world. Many thousands more died of Typhus in overcrowded tenements in unfamiliar cities. Liverpool was one of the busiest ports during the period, up to 250,000 Irish passed through the port every year. A search of the 1851 UK census for the registration district of Liverpool shows an excess of 60,000 people listing Ireland as their place of origin. For the UK as a whole that figure jumps to over ten times that, at nearly 685,000. Ten years later this has increased to more than 775,000 as the exodus continued after the famine years. 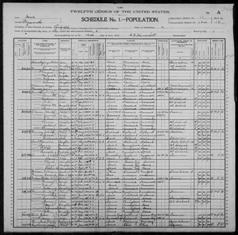 The census records of 1841 and 1851 show over 50,000 of those listed were born in Ireland between 1847-1851, the height of the famine. 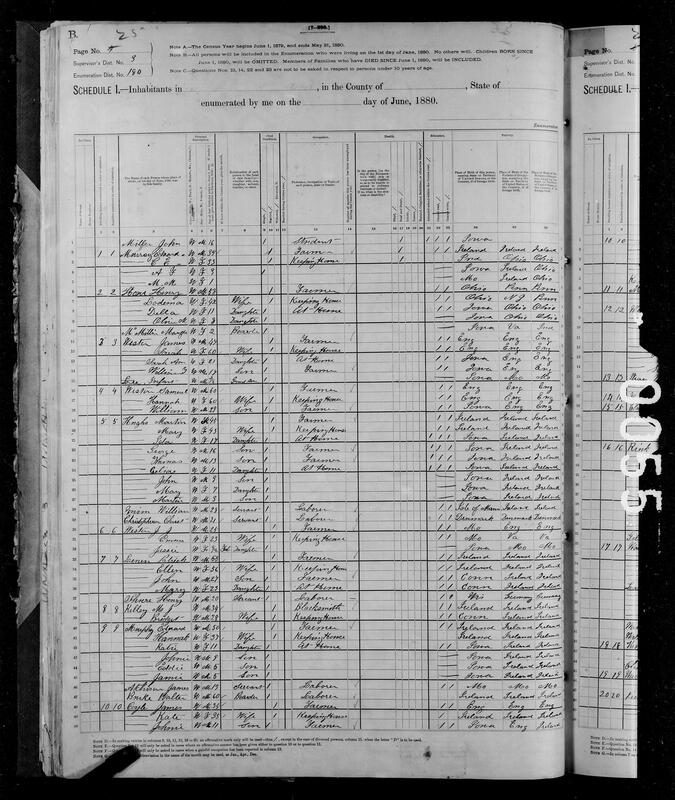 One two year old boy, found in the 1851 census, Michael Halligan, is listed as being 'born at sea on the passage from Ireland'. There must have been many more like him as families hurriedly escaped Ireland in search of a better life elsewhere.